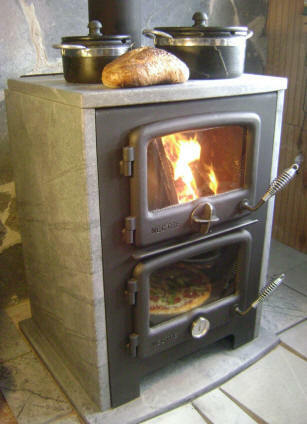 There is nothing like a Vermont Wood Stove made of Soapstone. Our Masonry Heaters & Wood Fired Ovens have quickly become America’s most popular way to heat YOUR home. They’re the safest, most economical and most efficient way to warm that special place… your home. Our smallest Soapstone model that’s a real worker is The “Vermont Bun Baker“. Not only is it a soapstone wood stove, bake oven and broiler, but the surface can be used as a cook-top, and you can also heat hot water with an optional hot water interior stainless steel circulation tank. 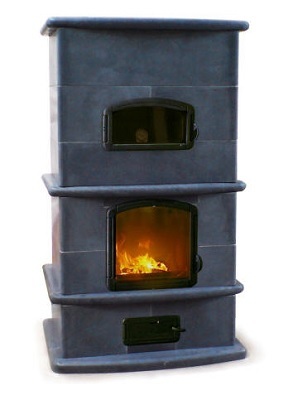 All that is surrounded by a beautiful Natural Soapstone veneer which radiates heat after the fire is out. It also qualifies for the tax credit program. about a subscriber who won a Vermont Bun Baker! 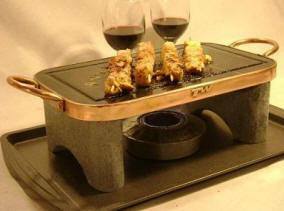 Bake Food & Heat Your House at the SAME TIME! See The Vermont Bun Baker on You Tube! 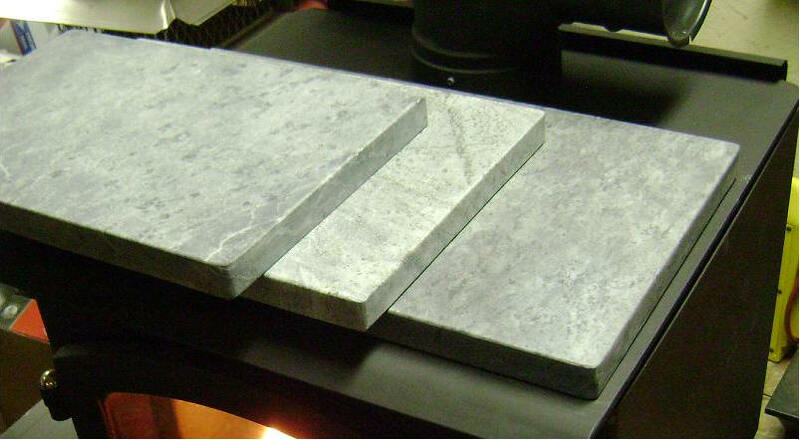 The San Marino Soapstone Masonry Heater, Click Here For More Info! Our different types of wood fired heaters are designed for cooking, baking, and home heating, while at the same time unequivocally bringing a beautiful aesthetic appeal to the focal point of any home. We’re proud to carry a wide range of sizes and types of woodstoves including the Sinatra full size “Masonry Heater” – with and without a bake oven compartment and heated ergonomic benches. Soapstone is a unique stone that retains heat and then distributes radiant heat all day and night with little wood usage and very little attention. 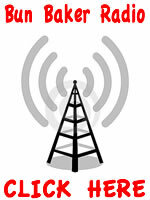 We have installers available throughout North America and Europe. Delivery and/or installation usually takes 6-8 weeks for our Masonry Heaters and 1-2 weeks for our Massive Soapstone Woodstoves and the Vermont Bun Baker.